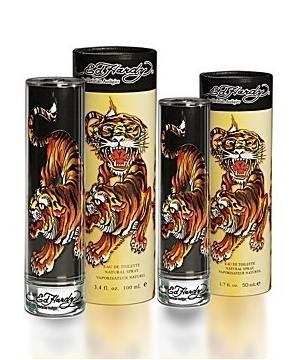 Today, Ed Hardy Man is what aquatic fragrances were in the 1990s and most of the 2000s: a tired cliché. I can't even count how many other fragrances I've tried in the past four or five years that smell just like this. I can think of one right off the top of my head: Adidas' Victory League 2006, which is cheaper and a little better than this. I only remember that because I used to own a bottle of the Adidas. Please don't expect me to name any of the other fragrances I've tried that smell just like this. They were so boring, they weren't even worth remembering. What style am I talking about? I'm talking about this woody/sweet/synthetic/ambery/fresh thing. 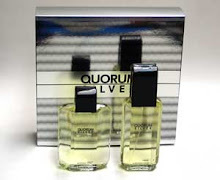 Basically it goes like this: top notes of orange and other citrus, middle stage consisting of very subtle spicy notes and synthetic wood notes, and a syrupy sweet amber, vanilla, tonka, and musk drydown. The sweetness of the candy basenotes can be smelled from beginning to end, creating this kind of semi-gourmand smell. It overpowers the wood and spicy notes. Worst of all, it has a chemical aquatic note dancing around the whole thing, providing an awful flashback to the days when aquatics were the cliché of the day. That's exactly what Ed Hardy Man is all about. It's not even that these kinds of perfumes smell terrible; Cerruti Pour Homme is essentially in this style, but it's done so much better than Ed Hardy Man. It's just that I can only take so much of it. The same goes for cedar-dominant men's fragrances. What inspires designer firms to spend time and manpower to produce stuff like this? Do the corporate decision makers say to each other, "You know, this style has been really popular for the past few years, and there are at least twenty of them on the market right now. Let's make our own, and make sure it smells just like all the others. That way, people will stop buying those others and start buying ours!"? Does that make any sense to you? I don't know how long this style has been in fashion, but if Ed Hardy Man, released in 2008, was the first to do it, then I would take back all of my criticisms; I'll commend any perfumer or designer who sets trends, as opposed to just following them, regardless of whether or not I like the fragrance. Something tells me they weren't the first, and until I find out otherwise, Ed Hardy Man gets a big booby prize for "Least Inspired Men's Fragrance Since 2008". To add insult to injury, I have to bring up another point about this fragrance, which I had forgotten to mention earlier. This is a poorly blended scent, compared to many of the other fragrances it copies. During the evolution of the scent, I could smell the amber, the tonka bean, the cedar, the citrus, etc., as if they were separate smells. At no time did the various notes feel like they were actually blending together. 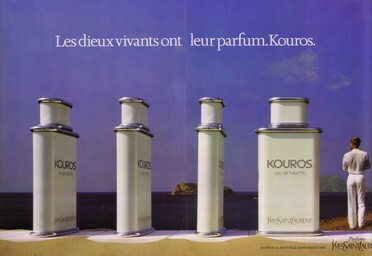 It is a poorly balanced perfume, with the sweetness stepping all over the drier notes, rather than melding with them. That annoys me, and makes me feel like this lousy fragrance was just thrown together by some amateur. I empathize with your feelings of ennui. I can't tell you how many times I've tested things at Marshalls, TJ Maxx, Macy's, even Sephora, and just smelled the same banal fresh/woody/sweet accords. There's maybe two or three of the same accords, and each brand just nipping the top of one of them with its own special color, like an olfactory cups and balls trick. You asked, "Let's make our own, and make sure it smells just like all the others. That way, people will stop buying those others and start buying ours!"? Does that make any sense to you?" I was thumbing through the egregiously over-written Perfumes: The Guide tonight, and realized that they have a slew of Eau de Colognes by different companies listed in there. Many minor variations on the same citrus/wood theme. Yet that theme is so good! I'd gladly take derivative perfumes that are done well in that style, things like Eau Sauvage and Moustache, Chanel Pour Monsieur (not even a favorite of mine), and Guerlain's Cologne Imperial. The current sweet scratchy fresh trend that never dies does not hold a candle to the older Eau formulas. 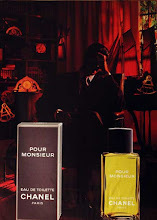 My conclusion is that, with the exception of a few notably successful fragrances - many of which you've mentioned here on your blog - this new style doesn't have the same substance behind it, and isn't destined for any enduring greatness beyond a few hallmark scents. Another reason I don't mind all the old school citrus frags (other than my being biased in favor of that style) is that back in the Sixties there weren't as many releases as there are now. 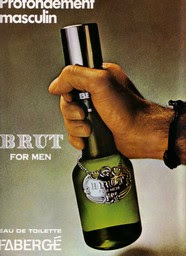 Therefore, men's perfumes probably didn't seem so redundant. I was actually hesitant in writing this review. I had to really think about how I worded it. 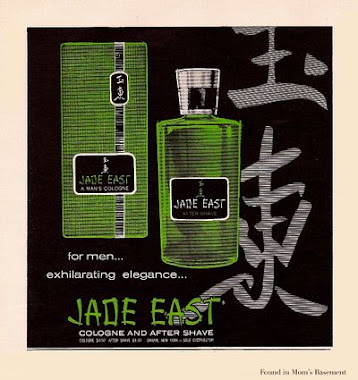 The reason for that is because two fragrances I just recently wrote very positive reviews on, Cerruti Pour Homme and Mustang, are not all that different from Ed Hardy. For me, however, the difference lies in the construction and the subtleties. Both Mustang and Cerruti are masterfully blended - when a fragrance is expertly balanced and blended, I can often even enjoy perfumes that I normally wouldn't. Also, I love Mustang's tobacco vibe, which most of the clone frags don't have today.